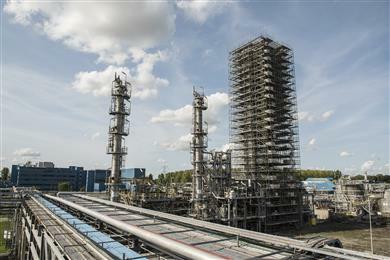 Last year, in response to customer needs, SABIC announced plans to recommission operations at its Bergen op Zoom PPE resin plant in the Netherlands with a phased ramp-up in production across 2020 to produce polyphenylene ether (PPE), the base resin for its line of NORYL™ resins and oligomers. Increased customer demand for NORYL™ resin – used in a vast range of industries such as water management, automotive, solar, industrial and electrical – prompted the capacity expansion plans. 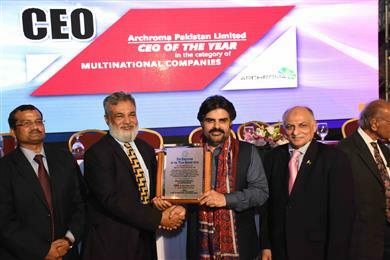 Reinach, Switzerland, 7 November 2017 - Archroma, a global leader in color and specialty chemicals, today announced that its Pakistan affiliate has been named ‘Employer of the Year’ in the multinationals segment in a nationwide contest organized by the Employers Federation of Pakistan (EFP), for the second time in a row. 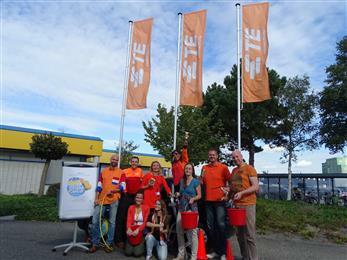 ’S-HERTOGENBOSCH – 13 oktober 2016 – TE Connectivity (TE), een wereldleider in connectiviteit en sensoren, heeft in de maand September een car wash gehouden om geld op te halen voor Swim to Fight Cancer 2017. Het eindresultaat van deze actie was een parkeerterrein vol glimmende, gewassen auto’s en een opbrengst van € 920, een mooie start is voor weer een geweldig resultaat voor dit goede doel in 2017. 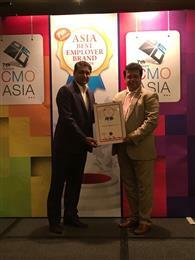 Reinach, Switzerland - 7 September 2016 - Archroma, a leader in color and specialty chemicals, today announced that its Singapore affiliate has been named ‘Asia Best Employer Brand’, an award conferred by the Employer Branding Institute, World HRD Congress & Stars of the Industry Group, with CHRO Asia as a Strategic Partner, and endorsed by the Asian Confederation of Businesses. 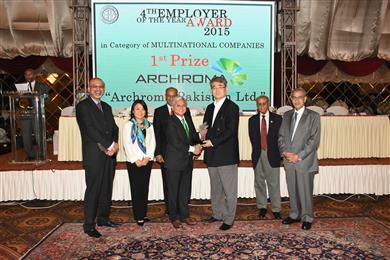 Reinach, Switzerland - 15 August 2016 - Archroma, a leader in color and specialty chemicals, today announced that its Pakistan affiliate has been named ‘Employer of the Year’ in the multinationals segment in a nationwide contest organized by the Employers Federation of Pakistan (EFP). Sittard, The Netherlands, March 2, 2016 - Chemical company SABIC has been awarded the ‘Top Employer Europe Award 2016’ for the third consecutive year, for its excellent employment practices throughout the Europe region. The certification is based on research by the international Top Employers Institute and auditing firm Grant Thornton, recognising SABIC’s continuous focus on excellent HR practices. 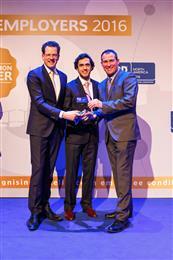 The award was presented on 25 February 2016 at an official dinner ceremony in Amsterdam.